PlayGround is pleased to announce the lineup for our month-long residency at the A.C.T. Costume Shop, featuring readings, performances and playwriting workshops by PlayGround Resident Playwrights, the PlayGround Writers Pools and students in the two-part Summer Playwriting Workshop. All performances and readings are free and open to the public (donations graciously accepted at the door). A public look inside the monthly gathering of PlayGround's most distinguished alumni as the playwrights read excerpts from brand-new works-in-progress, including plays by Erin Bregman, Garret Jon Groenveld, Daniel Heath, Evelyn Jean Pine and Tom Swift. A read-through of the latest draft by Ken Slattery prior to its Killing My Lobster world premiere production, presented in association with PlayGround, this September at Stage Werx. Directed by M. Graham Smith. A staged reading of the latest draft by Evelyn Jean Pine prior to the Altair/Aluminous/PlayGround world premiere production in October at Stage Werx. Directed by Michael French. A public presentation of the student works from part one of the Summer Playwriting Workshop. A public presentation of the student works from part two of the Summer Playwriting Workshop. A reading of Brady Lea's new full-length play, adapted from the Monday Night PlayGround short (December 2011). A reading of act one of Crish Barth's new full-length play, adapated from the Monday Night PlayGround and Best of PlayGround Festival short (2008). Collaborators Ignacio Zulueta and Ken Sonkin have pulled together this evening-length program drawn from a half dozen short plays by Zulueta originally written for the Monday Night PlayGround series. For the complete calendar, visit http://playground-sf.org/calendar.shtml. Manic Pixie Dream Girl Takes a Bite from the Big Apple! 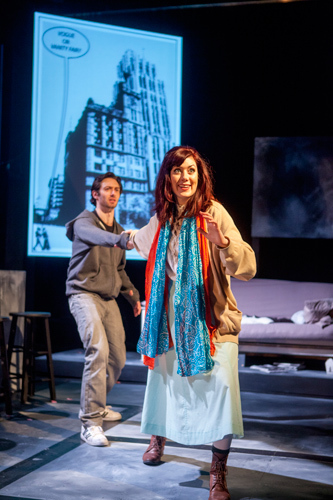 The critically-acclaimed Manic Pixie Productions and PlayGround (“Abraham Lincoln’s Big Gay Dance Party”) production of MANIC PIXIE DREAM GIRL, a graphic novel play, by Katie May, directed by Jon Tracy, and featuring the art of Rob Dario, will be presented as part of the 17th New York International Fringe Festival, August 9-16 at The Living Theater. The San Francisco cast returns, including Liz Anderson, Michael Barrett Austin, Lyndsy Kail and Joshua Roberts, and joined by Antonio Alvarez. For tickets visit www.FringeNYC.org. Two indie art forms intersect in this darkly comic story about a struggling graphic novelist who falls in love with a mysteriously silent manic pixie dream girl, a term coined by film critic Nathan Rubin to describe “that bubbly, shallow cinematic creature that exists solely in the fevered imaginations of sensitive writer-directors to teach broodingly soulful young men to embrace life and its infinite mysteries and adventures.” Think Kirsten Dunst in Elizabethtown or Natalie Portman in Garden State. May’s play takes this stock character and traces what happens if the quirky, girlish character that is supposed to serve the needs of the eccentric leading man becomes a full-fledged character. Katie May’s plays include Black Sheep Gospel (Great Plains Theater Conference), A History of Freaks (finalist for the David Mark Cohen Award in playwriting), and Manic Pixie Dream Girl (SF PlayGround fellowship commission) among others. Her short play Rapunzel’s Etymology of Zero (Best of PlayGround Festival, Short + Sweet Sydney) was published in the Best of PlayGround Anthology, 2011. She is the recipient of fellowships from the Virginia Piper Writing Center and the National University of Singapore, a grant from the Society for Women in Film, and an Emerging Playwright Award from PlayGround. PlayGround has been a leading incubator for some of the Bay Area’s most promising new playwrights since 1994, premiering 116 original short plays by 61 Bay Area emerging playwrights from several thousand submissions through its Monday Night PlayGround staged reading series and Best of PlayGround Festival. PlayGround has also commissioned 48 new full-length plays and supports the premiere of many of these works in partnership with Bay Area theatres through its innovative New Play Production Fund. Join the PlayGround community on Saturday evening, September 7, 2013, for the first performance of THE SHAKESPEARE BUG, a brand new comedy by Bay Area Theatre Critics Circle Award winner Ken Slattery ("Truffaldino Says No"), directed by M. Graham Smith and produced by Killing My Lobster in association with PlayGround. The production runs September 7-28, 2013 at Stage Werx, 446 Valencia Street, San Francisco. To purchase tickets for PlayGround Night ($20; discounts for subscribers, students and company members), visit playground-sf.tix.com. Hamlet's entire world suddenly turns into a Shakespeare play. His mother is divorcing his father and marrying his uncle. His father is acting like he’s a ghost. His friend Marybeth receives a prophecy that makes her to want to kill colleagues at work. Last but not least, Hamlet's roommate is suddenly madly in love with him but has jealousy issues, while her boyfriend Larry has become the Earl of Outer Sunset. What has happened? Is the play Hamlet saw the night before somehow to blame for this strange bug everyone appears to have caught? How will Hamlet restore reality, or is he content to let all the world be a Shakespeare stage? Ken Slattery has been a member of the Writers Pool since 2003. He recently won the Bay Area Theatre Critics Circle Award for Best Original Script (100-300 seats) for his play Truffaldino Says No, premiered at Ashby Stage last summer in a Shotgun Players-PlayGround co-production. The Shakespeare Bug is his second PlayGround commission. He is a member of Killing My Lobster. 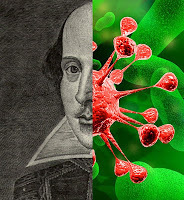 The Shakespeare Bug was originally commissioned and developed by PlayGround. 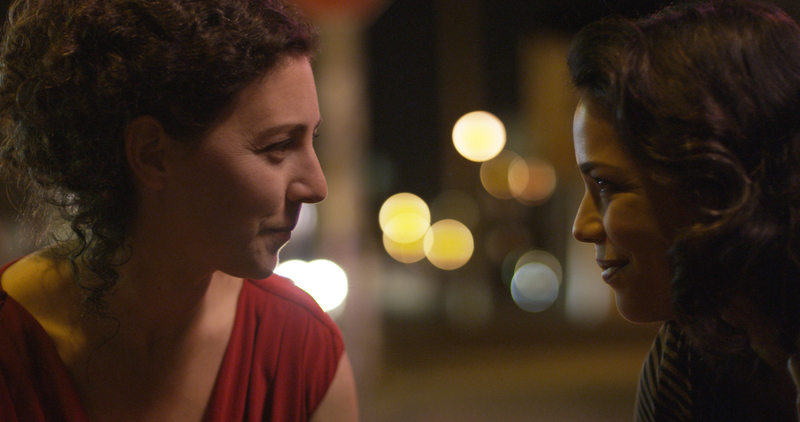 If you missed the 2nd PlayGround Film Festival last month, you have one more chance to catch the impressive short films and screenwriter interviews that ran May 1-25 in Berkeley, San Francisco, Palo Alto and San Rafael, including this year's People's Choice Award winner! PlayGround will mark the kick-off of its twentieth season with a special one-night-only rescreening of the 2nd PlayGround Film Festival at the Rialto Cinemas Elmwood in Berkeley on Monday, September 23, 2013 at 8:00pm, following a 7:00pm season announcement with PlayGround Artistic Director Jim Kleinmann. Tickets are $15 ($20 for priority seating) and can be purchased online at http://playground-sf.org/filmfest or at the door, subject to availability. The 2nd PlayGround Film Festival features six short films adapted by teams of local filmmakers and writers from short plays originally developed through PlayGround's celebrated Monday Night PlayGround staged reading series at Berkeley Rep and premiered in the Best of PlayGround Festival. Among them is Kirk Shimano and Amy Harrison's Miss Finknagle Succumbs to Chaos, recipient of the 2013 People's Choice Award. The other films include: Undone by Diane Sampson and Bruce Coughran; Obit by Geetha Reddy and Brian Tolle; The Secret Life of a Hotel Room by Garret Jon Groenveld and the Runnels Brothers; Aegis by Jonathan Luskin, Mark Leialoha and Flying Moose Pictures; and Climax by Sean Owen and Jeremy Solterbeck. "Anthology films are always a dicey proposition..., but the second annual PlayGround Film Festival gets it right." - SF Weekly. "...one of the best synergistic developments since one teenager got his chocolate in another teenager’s peanut butter..." - Berkeleyside. For the full reviews and other coverage, click the links: SF Weekly review / Berkeleyside review / Huffington Post review / KQED article. PlayGround recently announced guidelines for the 3rd PlayGround Film Festival Competition, with an August 23, 2013 deadline for completed applications. The 3rd PlayGround Film Festival will take place in May 2014. For more information, click here. To purchase tickets to the September 23 screening, click here. We're pleased to announce a new two-part, four-session workshop covering the fundamentals of short playwriting, led by Bay Area playwright and PlayGround alumnus Daniel Heath. This workshop will provide an introduction for newcomers to the form and practical exercises for veterans to refine their skills, in preparation for the July 31 PlayGround Writers Poolapplication deadline. Students may register for parts one and two separately ($120/each) or together ($200). A limited number of financial hardship scholarships are available. All workshops and performances will take place at the A.C.T. Costume Shop, 1117 Market Street, San Francisco. Good plays start from good characters, and the most interesting conflicts come from real human complexity. In this workshop, we'll work on devising compelling characters who speak authentically. We'll talk about writing for actors--what are our responsibilities as writers who are sending actors out on stage to say our words? July 14, 2pm-6pm; July 15, 7pm-10pm. Once we have our characters, the next most important thing in a play is that something happens. That sounds simple, but like most things that really matter you can spend the rest of your life working on it. We'll talk about how to find a story, how to recognize when you've found it (and when you haven't), and how to turn a story into a well-structured play. We'll also talk about your audience (that all-important final partner of theatrical productions) and how to plan the journey that we're asking them to take. July 21, 2pm-6pm; July 22, 7pm-10pm. Each part of the workshop will consist of two sessions: first, a four-hour Sunday session where we'll discuss theatrical principles and work through some writing exercises. We'll work in small and large groups and tackle real writing problems, then begin work on a new play. Second, on Monday, your brand-new play will receive its first public reading by professional actors (family and friends are welcome). We'll wrap up with a brief small-group feedback session, and a reception will follow. On Sunday, bring a laptop or a pad of paper, whatever you use to write on. On Monday, you'll bring copies of a brand-new script for actors to read. 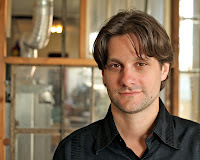 Daniel Heath is a PlayGround Resident Playwright and a former member of the PlayGround writers pool for seven seasons. He is a four-time winner of the PlayGround Emerging Playwright award (2007, 2008, 2009, 2011) and recipient of three PlayGround commissions (2009, 2010, and 2012). His short and long plays have been performed across the country. William Bivins’ play HEADLOCK is currently playing at Tides Theatre. 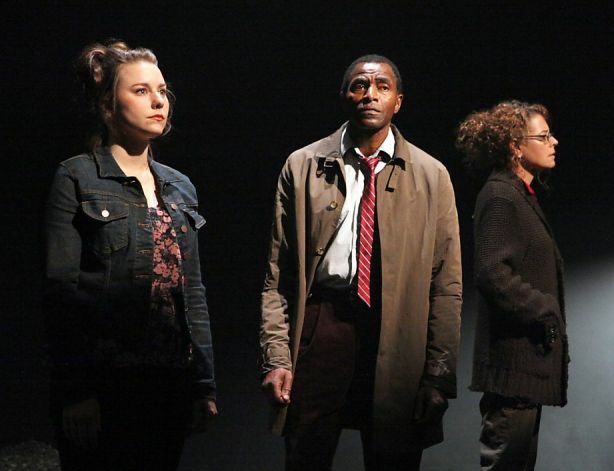 Based on Ryan Gabrielson's Pulitzer Prize-nominated investigative series called "Broken Shield," HEADLOCK is one of two 30-minute one-acts called StoryWorks, a collaboration between Tides Theatre Co. and The Center for Investigative Reporting. 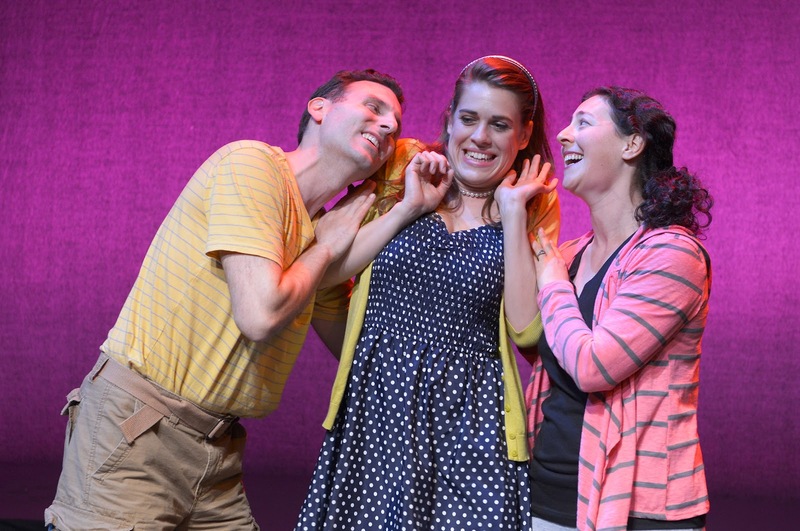 StoryWorks runs through June 15th. Tickets and info at http://tidestheatre.org. Brian Herndon is playing Tranio in THE TAMING OF THE SHREW at Livermore Shakes this summer, and appearing as Edward Gant in EDWARD GANT'S AMAZING FEATS OF LONELINESS at Shotgun Players this winter. Celine Delcayre is off to the Eugene O'Neill Theater Center where she will be working as a Literary Fellow. She also recently graduated from Sonoma State University with a B.A. in Theatre Studies and a B.S. in Business Management. Congrats, Celine! 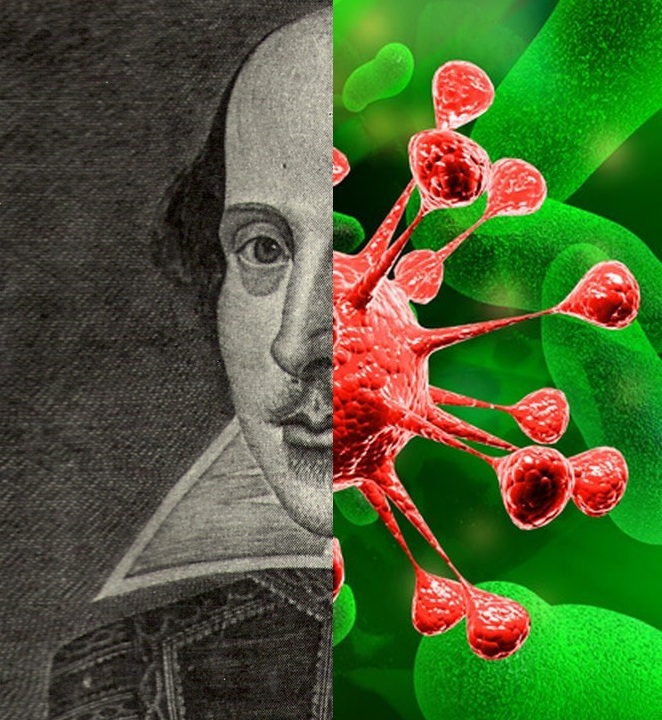 Killing My Lobster will premiere Ken Slattery's THE SHAKESPEARE BUG, directed by M. Graham Smith, at Stage Werx, Sep 7-28 (Sep 7 is PlayGround Night at KML). http://www.killingmylobster.com/the-shakespeare-bug/ Ken and Graham both won Bay Area Theatre Critics Circle Awards earlier this spring for their work on Ken's previous PlayGround commission, TRUFFALDINO SAYS NO, premiered at Shotgun Players last summer. Evelyn Jean Pine's new play, FIRST, directed by Michael French, will premiere in October and will receive a workshop at the A.C.T. Costume Shop in July. Tracy Held Potter has a short solo piece featured in an encore of Women in Solodarity: Cat Ladies, June 10 & 11. Catladies2.brownpapertickets.com. She will be directing for Theatre Pub in July and directing/producing THE FANTASY CLUB for All Terrain Theater, August 2-11 (www.allterraintheater.org). She is writing for “Babies, the Ultimate Birth Control: Terrifyingly Hilarious Plays about Parenting” at this year’s SF Fringe (sffringe.org).